IGN heeft exclusieve informatie naar buiten gebracht over De Sims 3 Exotisch eiland. Zo wordt er een release datum genoemd van 25 juni 2013, een exclusieve screenshot en al wat informatie over het spel zelf. Het is een kort artikel, maar toch de moeite waard om te bekijken. The towns and places you can take your Sims are large, but the idea with Island Paradise is to open up the world even more. 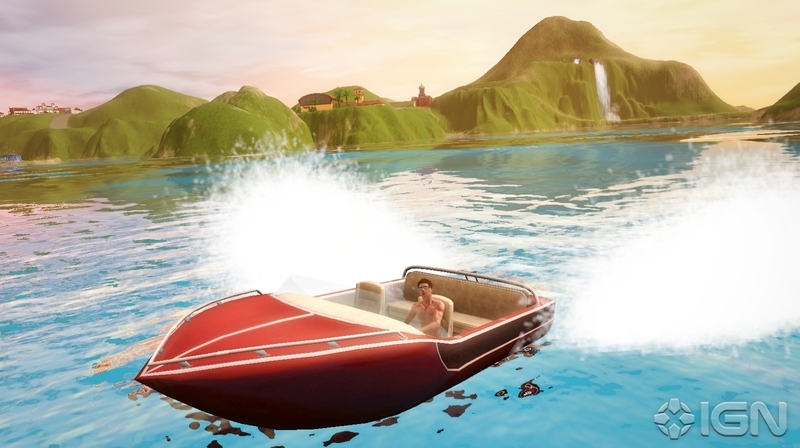 Instead of building a home and living in one place, this expansion allows you to build boat houses that you can use to explore uncharted waters. It’s basically The Sims: Trust Fund-Baby Edition. It’s still a ways off from its June 25release, so EA is keeping most of the Island Paradise details hush hush. Still, EA did inform us that on top of exploring you’ll also be able to create resorts, working to get them a coveted five-star rating. The expansion will also have other new features, including the ability to go snorkeling, fish off your house boat, discover buried treasure, scuba dive and swim wherever you drop anchor. So, that year off you wanted to take before going to college? You’ll have to wait until after classes are in session. Cool! Wanneer komt deze EP eigelijk uit?